Parity Trust provides secured loans and mortgages, which are available to homeowners as well as those looking to purchase a property for the first time. We have experience in retirement lending (lending to older borrowers) and providing shared ownership mortgages for Community Land Trust and Housing Association homes. In the past 10 years, we have offered over 650 secured home improvement loans enabling homeowners to invest in their properties. We are proud of our long-standing partnership with a number of local authorities, which enables us to offer affordable home improvement loans. These loans enable our clients to finance the adaptations, repairs and improvements required. With the rising cost of living, house prices, shrinking savings pots and diminishing pensions, the need for affordable and flexible borrowing has never been greater, as a result, we have introduced innovative products which meet the needs of those under-served by the mortgage market. Our lending activity serves to create lasting and sustainable change. The future is bright for Parity as we look forward to developing our position of strength in today’s financial market. If you want to find out what makes us different from some other lenders, take a look at our ways we are different info sheet. We have a range of secured loan products available to existing homeowners that can be used for a variety of different purposes. Help is available if you still owe monies on your mortgage and it’s coming to the end of its term. No age restrictions for older borrowers. Shared Ownership mortgages available with deposits as low as 5% required - subject to eligibility. Shared Equity Homebuy can help you by providing a loan for up to 20% of the cost of your home reducing the amount you need towards a deposit. Mortgages available if you need help with the transition of moving to a more suitable property. No age restrictions for older borrowers. “I found every aspect of the service excellent, and I was particularly impressed with the speed of the whole process and the friendliness and courtesy shown by everyone involved”. Leading finance provider for affordable and decent homes. Parity Trust is committed to providing affordable loans and mortgages, through bespoke packages to people and communities who are marginalised from accessing mainstream finance. Parity Trust is the trading name of Portsmouth Area Regeneration Trust group. The group comprises of: Portsmouth Area Regeneration Trust (IPS) Ltd. Registered Society registered under the Co-operative and Community Benefit Societies Act 2014 under Number 29069R. Portsmouth Area Regeneration Trust, registered in England and Wales. Companies House Number: 03794640. Charity Commission Register Number: 1079454. Portsmouth Area Regeneration Trust (Guarantee) Limited, registered in England and Wales. Companies House Number: 3977373.Portsmouth Area Regeneration Trust (Guarantee) Limited is authorised & regulated by the Financial Conduct Authority. 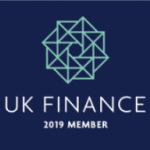 Financial Services Register Number: 504445 Parity Trust is a member of UK Finance, an associate of the Community Land Trust Network and you can also find us on the Financial Services Register.